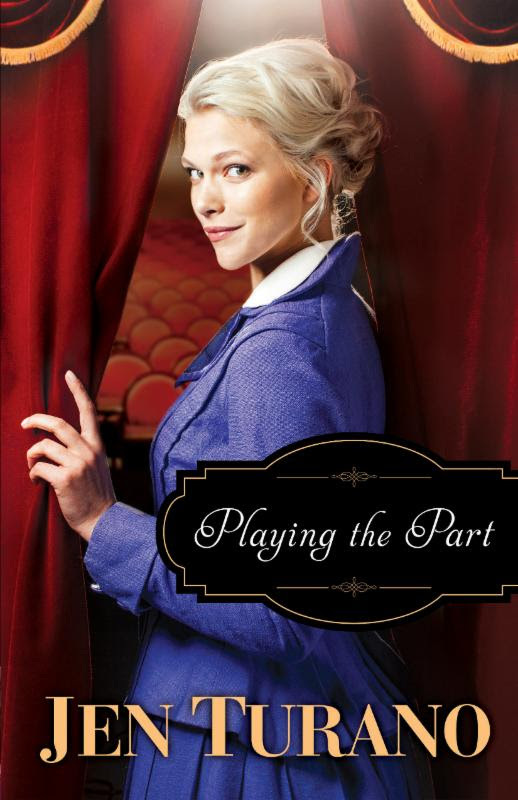 I recently finished reading Playing the Part by Jen Turano, I didn't realize it when I started but quickly came to discover that some of the characters that I had first met in In Good Company the first book that I had read by Jen Turano. Even before I discovered that it was next book in the series, I was looking forward to reading this book, as I like the style of Jen Turano and enjoy the historical fiction set in America. 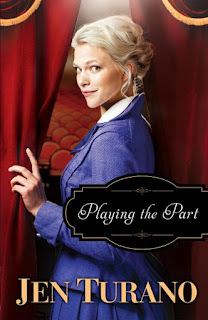 Playing the Part has a great balance of romance, mystery, and humor. The author did a great job bringing the eccentric characters to life and it was hard not to fall in love with all the characters (well except for Silas and Nigel). I love the way that the author presented the characters and their quirkiness and then through the telling of the story starts to reveal what makes them who they are. As Bram and Lucetta begin to learn more about the other, they discover that first impressions are not always so reliable. Almost to the final page, the reader continues to learn more about the characters. I love that Millie returned in this story, even if only for a short portion of the story, with her dictionary and 'big words'. Every time she used a big word and then proceeded to tell her friends what it meant, it made me chuckle. The setting for this story is primarily at Bram's castle, which is in part it's own 'character' with it's motley crew of staff, animals, unique structures, the suspicion that it is haunted and even a dungeon. The castle makes a perfect backdrop for this story, helping to move the story along and allowing us to get to know the real side of the characters. I thoroughly enjoyed this story and look forward to reading more by Jen Turano. Lucetta Plum is an actress on the rise in New York City, but is forced to abandon her starring role when a fan's interest turns threatening. Lucetta's widowed friend, Abigail Hart, is delighted at the opportunity to meddle in Lucetta's life and promptly whisks her away to her grandson's estate to hide out. Bram Haverstein may appear to simply be a somewhat eccentric gentleman of means, but a mysterious career and a secret fascination with a certain actress mean there's much more to him than society knows. Lucetta, who has no interest in Abigail's matchmaking machinations, has the best intentions of remaining cordial but coolly distant to Bram. But when she can't ignore the strange and mysterious things going on in his house, it'll take more than good intentions to keep her from trying to discover who Bram is behind the part he plays. Check out more reviews and learn more about the book on the blog tour landing page.